Following a great deal of adverse publicity about coursework, the then-QCA carried out a study into cheating and plagiarism. It released this in 2005 and found that about 4000 students a year were being caught for breaching the rules. The blame was laid at the internet especially custom-made essays and answers, teacher assistance and parental help. From September 2009 coursework ceased to exist in its current form and was replaced by work carried out under controlled conditions. The levels of control apply to task setting, task taking and task marking. QCA guidelines state that "the level of control must provide for valid assessment of the subject while ensuring manageability for learners, centres and awarding bodies". Controlled assessment can start in Year 9, 10 or 11. What does it consist of for history? 1. All history examinations will involve 75% external examination and 25% Controlled Assessment. There should be no real overlap with content covered for examinations. 2. Within a single controlled assessment component, teachers can choose from a wide range of tasks related particularly to enquiry and interpretation but also providing opportunities for extended writing and developed analysis. The tasks can be contextualised to suit local circumstances. In other words, the Awarding Body will set a shell question or series of questions which allow content to be added to suit a particular centre's context. For example, Edexcel offer a choice of 12 options in their Specification A, (The Making of the Modern World) and 13 options in Specification B (Schools History Project). In both cases, this unit 4 is defined as "Representations of History" whereby the Awarding Body sets the task and provides two representations but centres can then choose a third representation before candidates carry out the enquiry and compare representations. The same opportunity to develop a shell question and add sources is available for AQA. For example, in AQA Spec B to support their chosen area of Britain in or at war, the aftermath of war or the role of women, AQA provide 3 sources including an interpretation but the two questions require 5 sources on utility and 8 sources on interpretation and the remainder are thus selected by the centre. Their SHP Spec A is focused solely on History Around Us with a requirement for 3 questions and a suggested 6-8 sources. 3. The Controlled Assessment should not be seen as a bolt on but as part of a broader teaching programme. It is expected that the tasks will be linked to a generic teaching programme which should be identified in submissions for approval. Edexcel suggest that this should take up two thirds of the time available. 4. Tasks must be replaced each year. Teachers will be informed about controlled assessment tasks largely through electronic communication. For example, in OCR's case, tasks will be made available on "Interchange", its free secure website from June of the year before assessment until May of the year of assessment. AQA publish its set of tasks on the e-AQA secure website in September 2009 for submission in June 2010, November 2009 for a June 2011 submission and September 2010 for a June 2012 submission. Edexcel make theirs available prior to the autumn term. 5. Candidates can gain access to the tasks just before starting the activity - Edexcel suggest 2 weeks notice and OCR one week. 6. The tasks can be completed at any time during the course of study although the vast majority will complete it near or at the end of the teaching programme. 7. The time available varies slightly depending on the structure of the task. Some require time for preparation and write up. For example, Edexcel's write up time is defined as 2 hours 30 minutes. AQA suggest 8-10 hours for the preparation phase, 12-15 hours on the research and planning stage and 4-5 hours on the analysis and evaluation. They do point out, however, that this is not a strictly timed exercise and that time can be stretched if necessary. OCR suggest approximately 8 hours for the teaching and learning programme and 4 hours for the writing up of the task. 8. The expectation is that the tasks will take up no more than 2000 words although a strict word total is not being imposed by the Awarding Bodies. 9. The mark schemes will be provided by the Awarding Body. They are usually generic. Centres are not expected to develop these further although guidance is available on interpreting the generic schemes. 10. There will be reasonable supervision but it need not be under strict examination conditions. Notes can be used and it may not even be necessary for absolute silence in the room. Obviously nothing can be done to prevent candidates thinking about the activity outside the classroom but no disc or work can be taken outside the classroom and should be collected at the end of each lesson. 11. Guidance is provided by the Awarding Bodies on the level of help and support available to candidates. Teachers can offer general guidance but not specific information about the content of a candidate's work. For example, they can make suggestions about general timing such as when it is necessary to start to write up their work. Awarding Bodies provide guidance on the use of research methodology, materials from other sources and the preparation for final production of the work to be assessed and clearly outline the level of teacher support allowed and which should be recorded. For example, Edexcel state that research can take place in groups but that the writing up must be an individual activity. 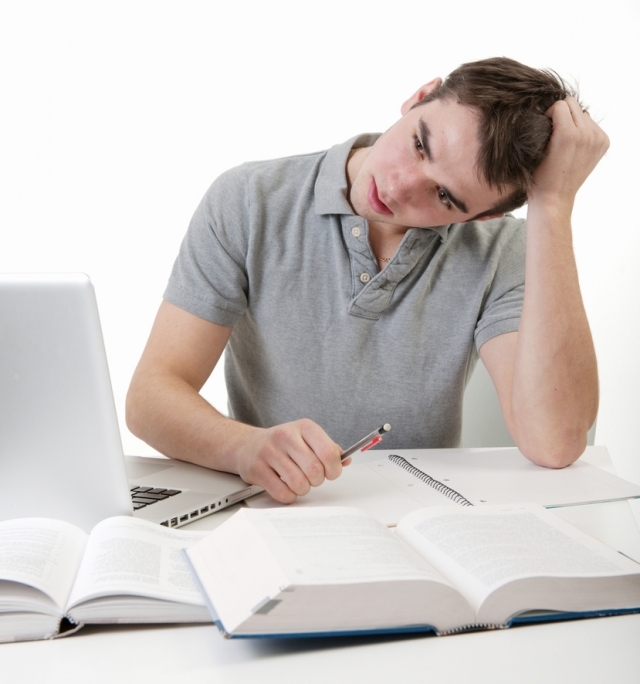 Guidance is sometimes available to the candidates; for example, in History B (Modern World) for OCR, for each of the four options - the role of the individual, a thematic study in 20th century history, a modern world study and a study in depth there is a set of hints focused specifically on the question being asked. 12. As with current coursework, the candidates' work is internally assessed with a requirement for internal standardisation followed by external moderation. The usual date for the submission of Controlled Assessment marks is May each year. What does one need to be particularly wary of? Entry for the right examination. This involves more than the right specification. Because tasks are changed each year, care is needed to ensure that candidates are doing the tasks set for the right session. Resits are likely to involve a new task. How this fits into whole school policies. With a number of subjects doing Controlled Assessment, schools need to consider the logistics and timing. If every subject wanted to do the tasks at the same time, there could be major problems. Whole school policies are also needed on aspects such as what to do if students are absent, additional time, strategy for SEN students etc. Ensuring that changes to the generic shell question(s) are not so substantial that they fall outside of the acceptable boundaries. This should not happen if formal approval is obtained from the trained consultants so it is essential that this approval is obtained before starting the work. Getting approval is likely to be a fairly quick process but it can be seriously delayed if the centre's proposals lack sufficient detail of teaching programmes, the precise wording of tasks, details of resources to be used etc. A formulaic hoop-jumping process. Controlled Assessment does provide the opportunity to do something a bit different. At the same time, it must allow candidates to demonstrate their historical skills so the tasks do need to be such that they are accessible and suitably challenging to all candidates. Such issues should be picked up via the vetting process. A possible danger is the use of a narrow range of sources so that candidates are constrained by the specific resources provided by the teacher. The suitability of the teaching programme. This should not cover the assessment activities although there may be benefit in dry runs on a different question. The teaching programme should cover the wider context whilst also introducing a range of resources such as text and topic books, sources etc. There are benefits in terms of manageability in having source booklets as part of the teaching programme but they should not be selected in such a way that they are linked to the specific question(s) for the Controlled Assessment. Preparation for the evaluation, analysis and writing up stage. Candidates are allowed to take in materials that are defined by the Awarding Bodies. These rules need to be followed and, in most cases, represent sensible practice to provide both a level playing field and manageability. AQA allow research notes and it is important, therefore, that candidates notes are orderly. OCR recommend one piece of A4 preliminary planning but candidates can also bring in elements such as exercise books. There should be sufficient resources available to answer question in write up periods without the need for research during this stage. This process needs to manageable and candidates should not be given overwhelming amounts of material. Selection is part of what is being assessed but it should not involve candidates being swamped by resources. Further research is best avoided in this writing up stage. sources and interpretations that drive the argument and are not just bolt-ons. Providing just the right amount of support and guidance. This is fairly well-defined in the Awarding Body's documentation and there are some no-go areas such as writing frames, model answers and sub-headings provided by the teacher. However, this does not mean no contact between candidates and teachers. It is possible to discuss work in progress to check for plagiarism and teachers can even provide general feedback such as overall relevance by the candidate. In a few cases, there could even be benefit in a candidate doing two separate assignments and the best being put forward. For example, OCR suggest that there may be some advantage in SHP candidates doing Controlled Assessment activities for History Around Us and a Modern World Study and the better mark being put forward. Cheating. It is easy to assume that this will be a major problem especially with the Controlled Assessment taking place over a number of days. The Awarding Bodies do not envisage this to be the case but there may be a need to take precautions with aspects such as internet access, prepared material on hard drives and memory sticks. Administration. Most teachers are very familiar and efficient with the administrative side through many years of coursework especially in areas such as authentication, signatures and helpful centre annotation. There could be new challenges with more entry codes, the inevitable result of a modular structure. How do I find out more information and obtain support? The Awarding Bodies do provide a great deal of support. For example, OCR have consultants to advise and approve, training in the use of the mark scheme and resources. Edexcel have a teachers' guide, teaching resources, student exemplars with senior moderator commentary, a local meeting network structure with a senior moderator as well as online support such as an e-community to discuss marking. AQA also have their Controlled Assessment Advisers to discuss enquiry tasks and carry out an annual standardisation exercise plus provide a Teacher Resource Bank that expands on the generic mark scheme.